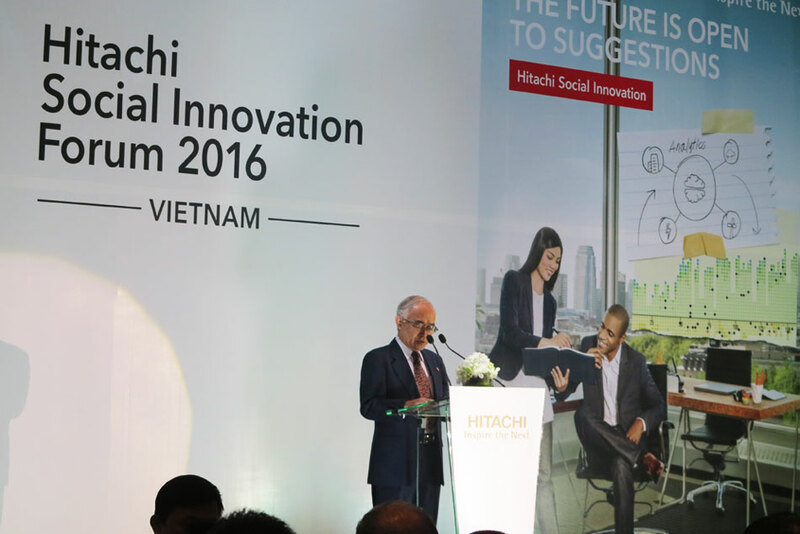 The Hitachi Social Innovation Forum 2016 VIETNAM was held at Sheraton Saigon Hotel & Towers in Ho Chi Minh City on 5th October 2016. 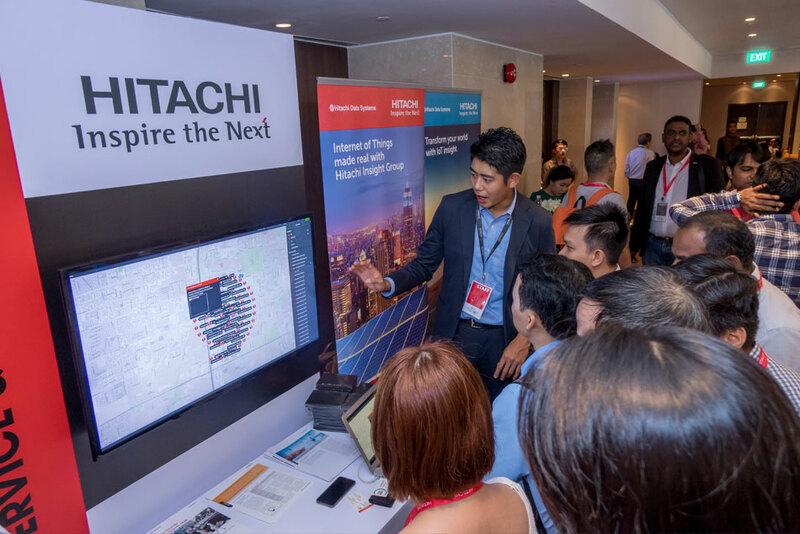 The event showcased Hitachi's Social Innovation in the global market through hosted seminars, exhibition and gala dinner presenting a wide range of services, systems and solutions that addressed challenges facing ASEAN cities and societies. 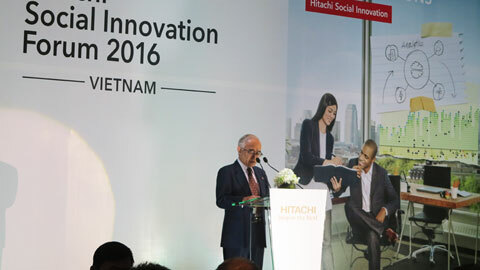 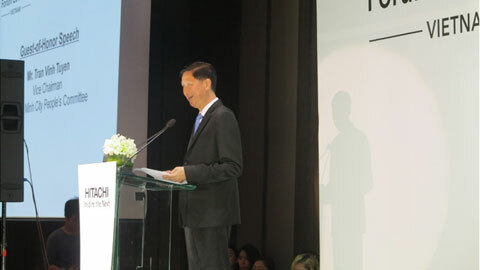 The various speeches and presentations at the business seminar illustrated Hitachi's Social Innovation Business and how Hitachi can address the challenging issues faced in Vietnam. 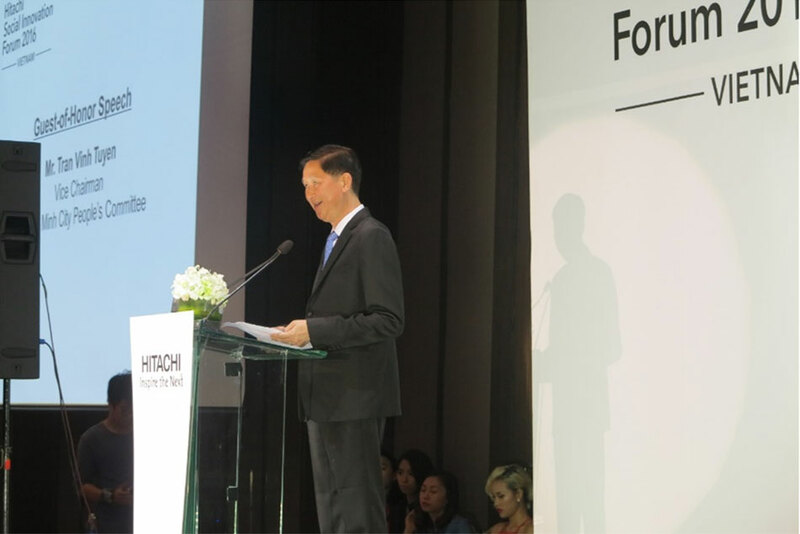 From the speech delivered by the Guest-of-honor Mr. Tran Vinh Tuyen (Vice Chairman of the Ho Chi Minh City People's Committee), guests were able to understand the reach of Hitachi's technology, which can be applied beyond macro projects to increase the quality of life in Vietnam. 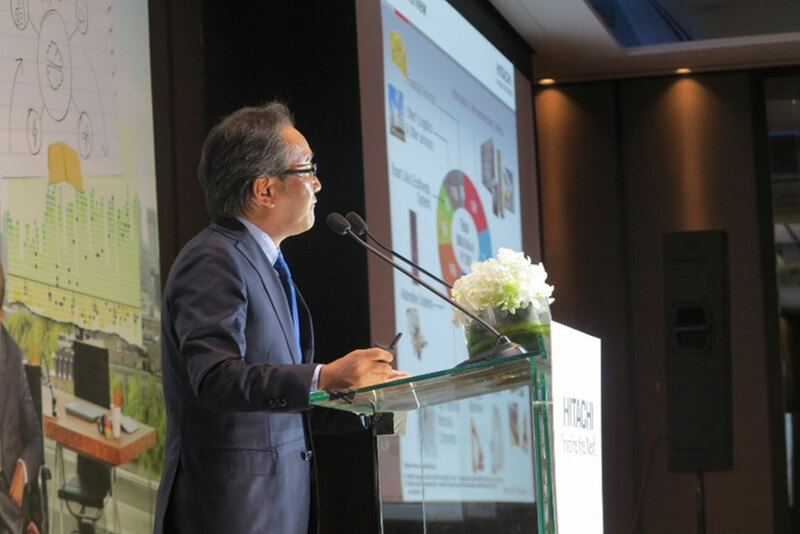 Guest speaker Mr Satoshi Nakajima (Consul General of Japan) also shared his expectations that projects undertaken by Hitachi, such as the Ho Chi Minh Metro Line 1 and the feasibility study on non-cash payment system, will bring about positive impacts to the Vietnamese society. 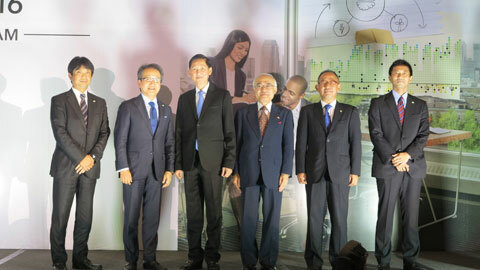 Through presentations made by speakers from Hitachi including Mr. Ichiro Iino (Chief Executive for Asia-Pacific, Hitachi, Ltd.), Mr. Akihito Ando (General Director of Hitachi Asia (Vietnam) Co., Ltd.), Mr. Masaya Sakakibara (Senior Manager , Building Systems Business Unit, Hitachi, Ltd.), Mr. Kazuo Karasawa (Head of Sales, Railway Systems Business Unit, Hitachi, Ltd.), Mr. 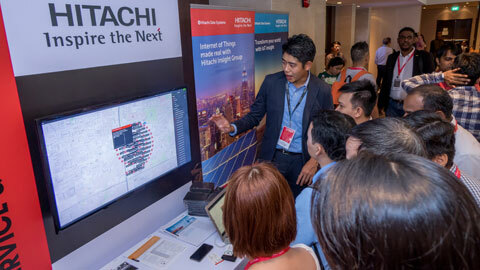 Son Tran (ICT Solution Manager of Hitachi Asia (Vietnam) Co,. 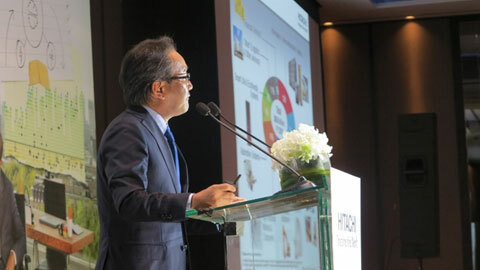 Ltd.), and Mr. Yasunori Nakayama (Division Director, Water Business Unit, Hitachi, Ltd.), distinguished guests were able to understand how Hitachi contributed to Vietnam's growth through social innovation, as well as its existing businesses in areas including Smart City, Rail, ICT and Water. 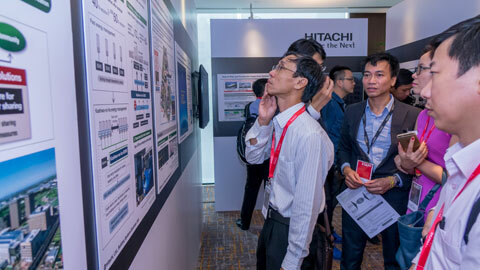 Furthermore, guests were presented with insights on Vietnam's growth opportunities and challenges from Hitachi's perspective. 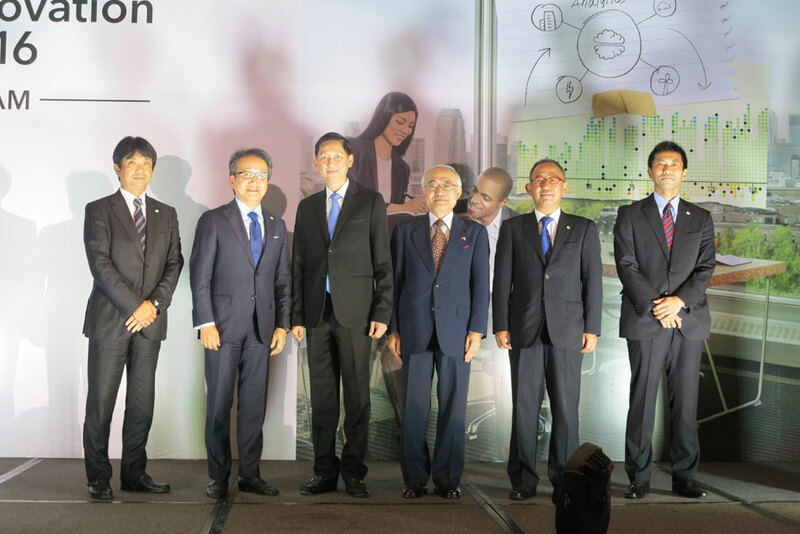 Hitachi's contribution towards a sustainable urbanization was also highlighted in this event and ways to make tomorrow's railway systems even better were also explored. 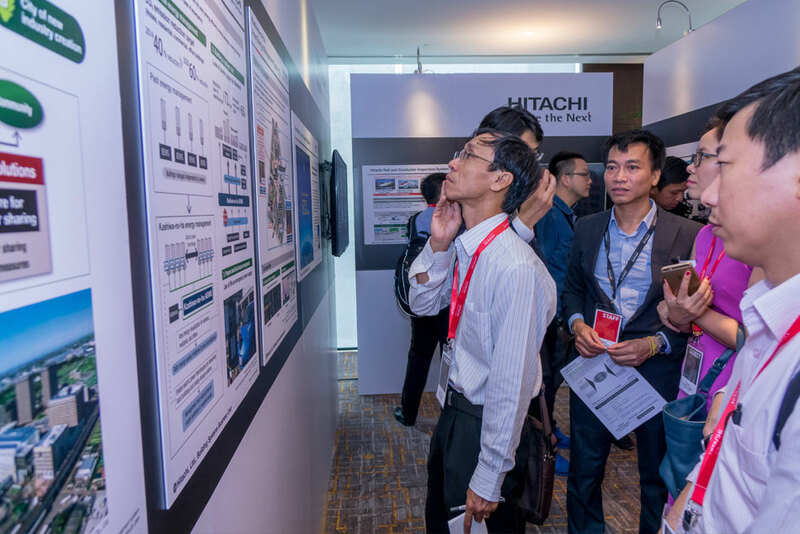 Guests were able to learn more about Hitachi's "collaborative creation" and its social innovation business, such as the existing Hitachi energy and railway system solutions adopted globally. 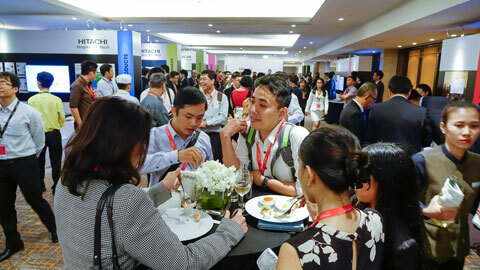 The dinner reception provided opportunity for mingling and the sharing of ideas among key stakeholders in the market. 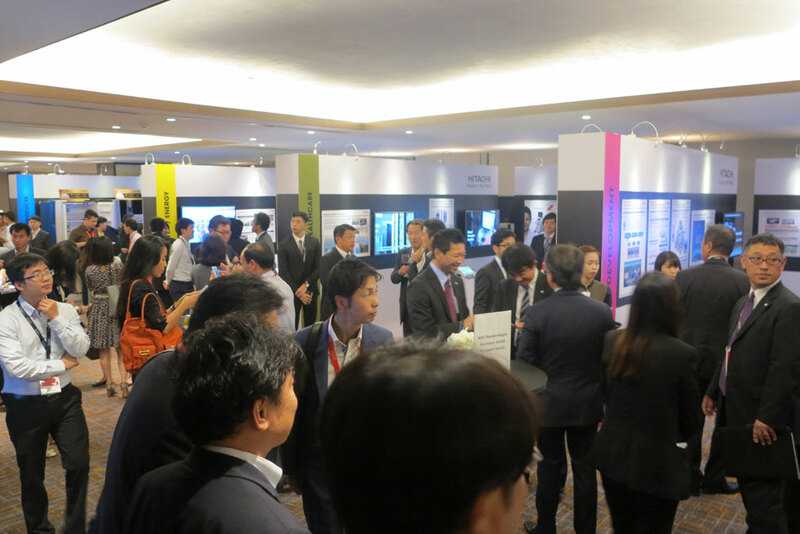 Hitachi's key technologies and strengths in the Social Innovation Business were also highlighted at the exhibition, which was held concurrently at the forum. 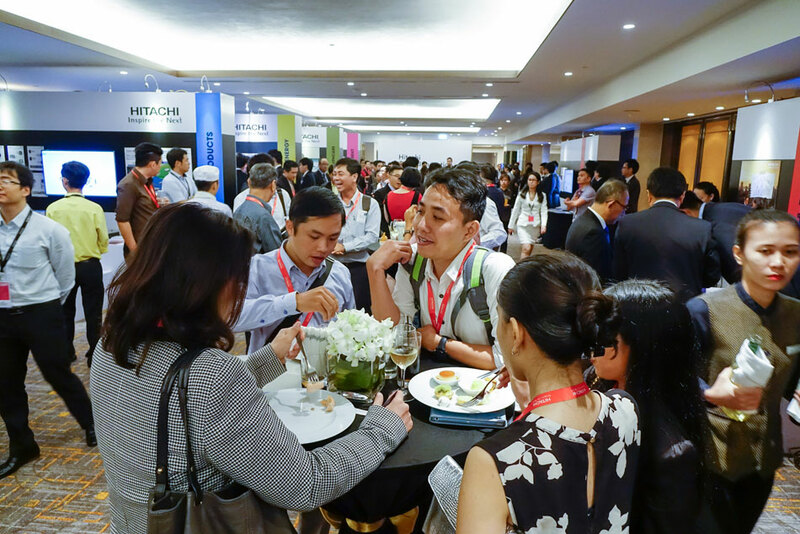 Some of the key business fields showcased include Urban Development, Finance, Public, Industrial and Services, Healthcare and Manufacturing. 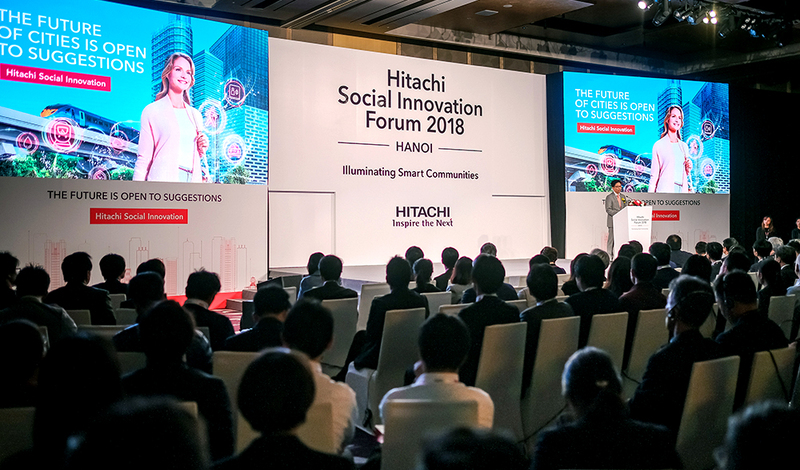 This was the first time that the Hitachi Social Innovation Forum was held in Vietnam, following successful events in other Southeast Asia (SEA) countries such as Thailand, Myanmar and Philippines. 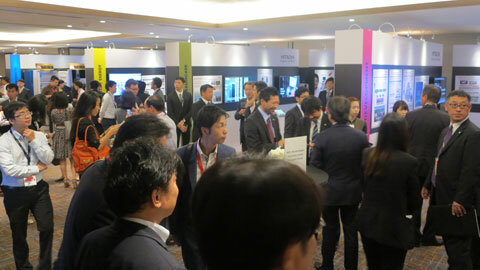 The forum attracted a total of 291 guests. 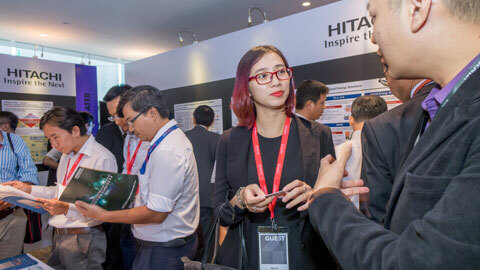 Through this event, we aimed to allow all attendees to get a greater understanding of Hitachi's Social Innovation Business and its efforts in Vietnam. 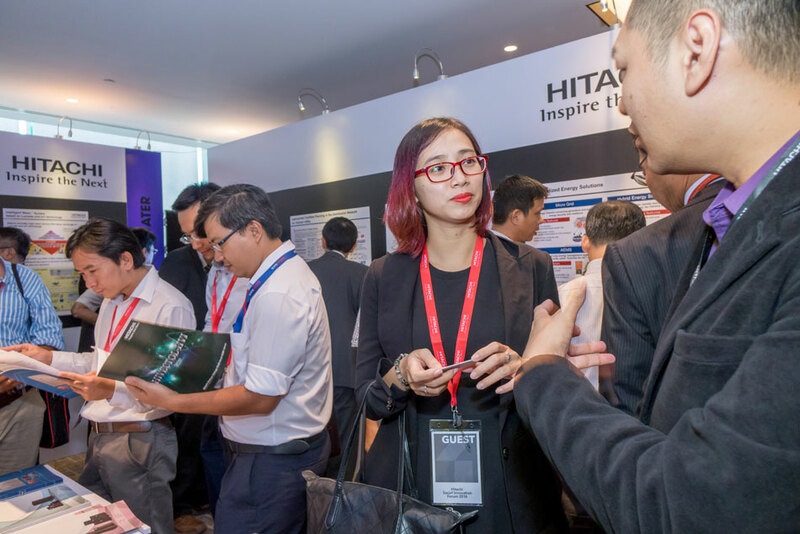 The Hitachi Social Innovation Forum serves not just as a showcase of Hitachi's business portfolio and capabilities, but also a reaffirmation of Hitachi's commitment in Vietnam and the ASEAN region.